This Raxxon review was made after playing the game five times. 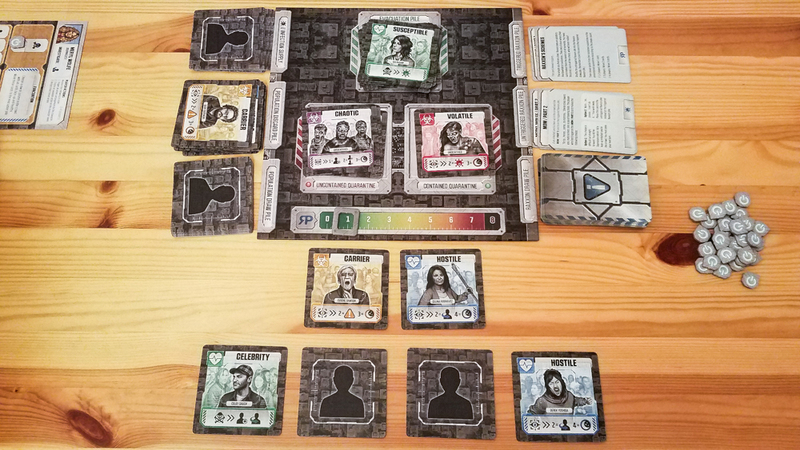 Raxxon is a cooperative card game set in the Dead of Winter universe in which you play as city leaders who are attempting to save people from zombies. Your main goal is to get all of the healthy people evacuated, but you’re also trying to keep the pharmaceutical company Raxxon from gaining too much power. 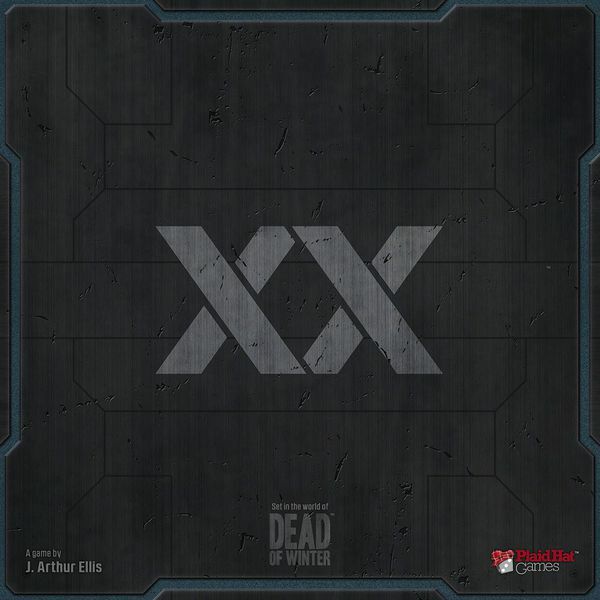 Raxxon was designed by J. Arthur Ellis and is published by Plaid Hat Games. To set up a game of Raxxon, you’ll build a Population deck based on how difficult you want the game to be. For example, in a Regular game you’ll add 15 of the Infected (zombie) cards to the Population deck and the rest of the Infected cards will go into the Infection Supply. After that all you have to do is set up the initial crowd grid (3×3 for two players, 3×4 for three, and 4×4 for four). Each round you’ll take turns taking actions until everyone has passed. Every action you take has future Consequences except for the Investigate action, which is when you flip one of the cards in the crowd. When you take one of your character’s actions, you’ll add an action token to your character sheet to remind yourself that you need to face those consequences before all future turns that round. The consequences include adding more cards to the crowd, drawing Raxxon cards (more on those below), and adding Infected cards to the Population discard pile. Two of the other key actions characters can take are killing rows of cards and sending zombies to the Contained Quarantine area. When you kill rows of cards you send them to the Population discard pile and they’ll show up again later when the deck is reshuffled; when you accidentally kill healthy people, you trigger the negative effect shown on their cards. Zombies in the Contained Quarantine area will shift over to the Uncontained Quarantine area at the end of the round. Whenever you have to draw Raxxon cards, you’ll read the text up top to see if the card triggers. Sometimes the card will automatically trigger, but in most cases you’ll have to check the face-up cards in the crowd or the cards in the Raxxon discard piles. If it does trigger, you’ll read the story text and then pick one of the options on the card. Often these cards will have the Raxxon icon on them, which means that you have to increase Raxxon’s power by one. What you’re attempting to do is find all of the healthy people in the crowds and move them to the Evacuation Pile. The ideal way to do that is by lining up three or more healthy people and using an action to evacuate them. The problem is that you have to flip the cards to find them and you never know how many zombies there will be. There are different types of zombies and you’ll trigger negative effects when you find multiples of one type. Sometimes they can even end the round early, which is usually a very bad thing. When everyone has passed, you’ll flip all of the cards in the crowd face-up. You’ll then add up all of the zombies in the crowd and in the Uncontained Quarantine area and add that many cards to the Population discard pile. This is also when everyone gets to clear all action tokens off of their character sheets so they get a fresh start in the next round. If you’re able to save all of the healthy people, you win! You’ll lose the game if the Infection Supply ever runs out or if Raxxon’s power ever reaches eight on their track. That’s a very basic overview of how the game works. For more info, check out the official Raxxon rulebook (PDF). The consequences mechanic is actually pretty brilliant. You’d love to take some of your character’s actions every turn, but you have to think about the negative effects they will have on your future turns. It makes each decision matter just a bit more. The Raxxon cards are this game’s version of the awesome Crossroads cards found in Dead of Winter, and they’re pretty awesome here too. The cards help to create a slightly different story each time you play the game and you always have to worry about Raxxon gaining more power each time you draw one. From “Normal” difficulty up, Raxxon is a tough team puzzle. Figuring out how to manipulate the crowd is never easy because you have to decide which character should take which actions and you have to press your luck a bit when flipping over the cards. The challenge this game presents is what’s going to keep people coming back to it. I’m also very happy that all of the icon descriptions are listed on the back of the rulebook. It makes learning and playing the game so much easier. It’s pretty great that Plaid Hat created a Raxxon website and added in some new scenarios for everyone to play. You can get very unlucky and fall behind early in this game. Multiple times my group had crowds filled with zombies that quickly added more zombies to the crowd and put us in very bad positions early. That can be frustrating. Maybe I’m being greedy, but I think the game should have come with 20-30 more Raxxon cards. Drawing those cards is one of the most exciting parts of the game and it can be disappointing when you draw the same cards in consecutive games. It is strange that they didn’t find a way to add in rules for at least five players. It doesn’t seem like it would be that difficult. I wouldn’t say that Raxxon is a great game, but I will say that it’s a unique co-op that is pretty darn fun. The Raxxon cards are great, there are some cool team decisions that you have to make, and the game has a nice flow to it. I’m not surprised my group likes this one since they usually enjoy quick and challenging puzzle games. We’re actually 0-for-5 now, but we did come pretty close to winning one of our games. 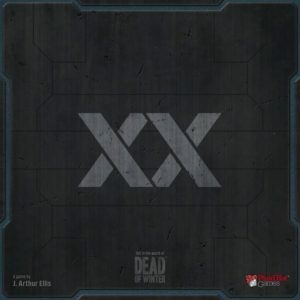 I’d say give Raxxon a play if you like tough cooperative (or solo) puzzle games and the zombie theme. Thanks for taking the time to read our Raxxon review! To stay updated on all things cooperative board games, follow us on Twitter, Facebook, or via RSS.